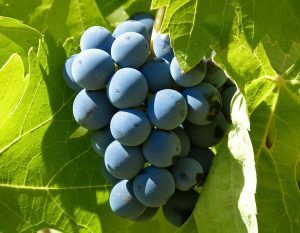 Following our article on the grape varieties of the Millesima Tips series, we will focus on the top 10 most planted varieties in the world according to research from the University of Adelaide in Australia. 6 of the 10 are French! 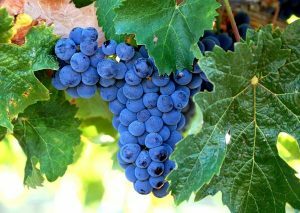 Cabernet Sauvignon is a black grape variety known for being blended to create some of the greatest Medoc and Graves wines. It prefers soil composed of gravel. 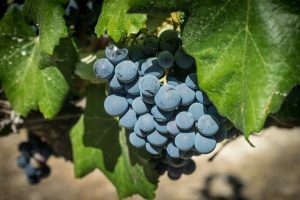 Cabernet Sauvignon flourishes in California, Italy, Australia and South Africa. Its uncanny ability to adapt to different soil types (rather lean, dry or poor) and climates allows it to be cultivated easily. This late-ripening grape variety is relatively resistant to diseases and is harvested last. Cabernet Sauvignon typically has notes of black fruits and violets. Aromas of peppers are a sign of young wine that lacks maturity. It is beautifully powerful and has remarkable tannins. It often provides a strong structural backbone to blends. Consequently, Cabernet Sauvignon gives these wines excellent aging potential. Within a few years, tannins soften and reveal its complex aromatic characteristics. 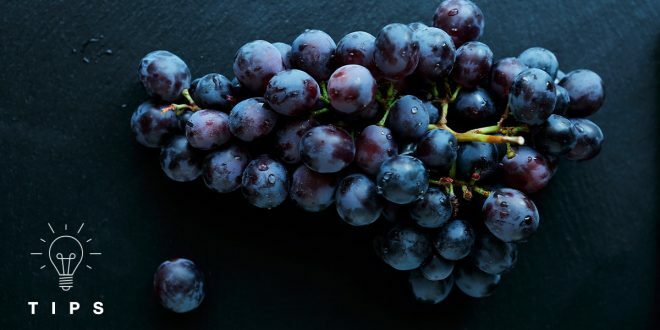 This black grape from Bordeaux, is found particularly in Pomerol and Saint-Emilion, Merlot thrives when planted on clay and limestone based soil that allow it to optimize water reserves. Merlot is also found in other countries such as the United States, Chile and Italy. However, its early budding makes it very sensitive to the risks of spring frost and diseases such as mildew. Its thin skin makes it a target for gray rot. Merlot reaches maturity later in parts of the world, but early in Bordeaux. There, it is harvested just before Cabernet Sauvignon. Merlot gives the wine aromas of red fruits (red cherry, strawberry, raspberry) and black fruits. Candied fruit notes are proof of very ripe grapes from a sunny vintage. With age, notes of undergrowth, spices, prunes and violets appear in the glass. Merlot is characterized by its roundness, suppleness and richness in fruit. Notably, Merlot has an excellent potential for aging. 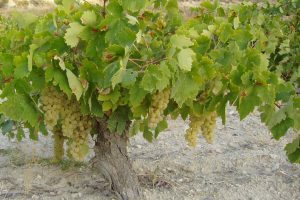 Airen is a white grape variety native to Spain. It is planted in the Castilla-La Mancha and Valdepenas regions. It is lesser-known in France, but can also be found in Portugal. Its bud break is very late and it resists cold winters and hot and dry summers. However, it is sensitive to powdery mildew. Similar to Ugni Blanc in France (well-represented in the Cognac region), Airen is mainly used to produce Spanish brandy. However, if harvest is done fairly early and the winemaking is done with the utmost care, the wines produced will be nothing short of excellent. The wines produced from Airen grapes are noted for their freshness, richness in alcohol and concentration. Tempranillo is a black grape from Spain. It is also grown in many countries such as Portugal, Italy, South Africa, or Argentina. Tempranillo enjoys mostly southern regions with warm temperatures, but doesn’t support droughts. It reaches maturity early and is quite susceptible to botrytis and other diseases such as Downy Mildew and Oidium. It is known for its fragrances of blueberries, cherries and red fruits, and delicate notes of spice and coffee. Tempranillo produces wines that are distinguished by their elegance, low acidity and rich tannins. These wines develops wonderful complexity after years of aging. Chardonnay is a white grape variety from France that is widely planted in Burgundy and Champagne. A great example the great white wines from the Cote de Beaune or sublime vintages of Champagne from the Cote des Blancs. In addition to France, it is widely grown in California, Australia, Chile, Argentina and New Zealand. Chardonnay prefers predominantly cool regions (though it can be found in Mediterranean climates) and soil composed of limestone and marl. Chardonnay has a rather early bud burst, making it very sensitive to spring frosts. Chardonnay is particularly sensitive to powdery mildew and bacterial disease. It also matures quite late in the season and is prone to gray rot. Syrah is a black grape variety that originated in the Savoie and Ardeche regions of France. Now, it is mostly found in the Rhone Valley, Provence, Languedoc-Roussillon, Southwestern France and even in Corsica. Its worldwide success led to its production in Argentina, South Africa, California, Chile, New Zealand, Mexico and Australia (under the name Shiraz). Syrah appreciates warm climate with low humidity, as well as shallow, well-drained rocky soil. It is a rather late-maturing grape that is very susceptible to chlorosis, dust mites, Botrytis and severe droughts. The wines produced with Syrah develop aromas of red and black fruits, flowers (violets) and spices (truffle, pepper, licorice). They are refined, complex, and rich. Syrah has a strong tannic structure with a bit of acidity. It is a beautiful wine to age, as is seen in the great vintages of the Northern Rhone, such as Cote-Rotie, Hermitage, Cornas and Saint-Joseph. Grenache Noir is a black grape from Spain. In France, this Mediterranean varietal is mainly found in Languedoc-Roussillon, Provence, Corsica and in the Southern Rhone Valley (where it is the base of the great Chateauneuf-Du-Pape wines). 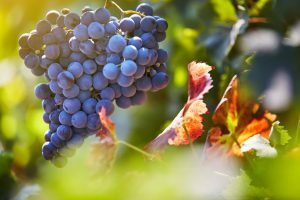 Overseas, it is grown in Spain and in many other wine-producing regions such as Italy, California, Argentina, Chile, Uruguay, Australia and Israel. Grenache Noir does best on gravel-based soil that absorbs the heat of the sun. It enjoys the Mediterranean climates and its powerful winds that combat gray rot. Although the bud burst of early Grenache is early, its maturity is quite late. It can be damaged by many diseases such as Downy Mildew, bacterial disease, and insects. Grenache Noir has aromas of black cherries, black fruits, figs and prunes, with roasted and spicy notes. It is characterized by its high alcohol content and low acidity. 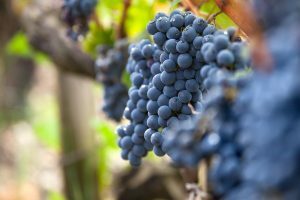 Grenache Noir is unctuous, ample, powerful and generous. The tannins are round and smooth. 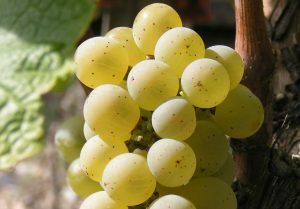 A white grape variety from the banks of the Loire, in France Sauvignon Blanc is mainly grown in the Loire Valley, Bordeaux, Southwest France and Charentes. It is further found in many regions of the world such as California, New Zealand, Mexico, Australia, Italy, Spain, Portugal and South Africa. Sauvignon Blanc thrives on limestone soil, chalk, marl and gravel. Its ideal climate is oceanic or continental. Sauvignon Blanc has an average bud burst and a rather late maturation. This grape is particularly affected by gray rot and powdery mildew. Sauvignon Blanc is characterized by aromas of blackcurrant leaf, boxwood, white fruits, citrus fruits and flowers. These white wines are well-structured, fresh, mineral, lively and very elegant. 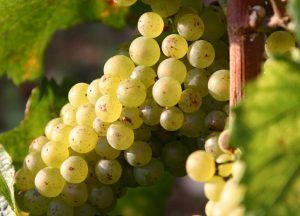 Ugni Blanc is a white grape variety that originated in Tuscany, but is mainly grown in France in the regions of Cognac, Languedoc-Roussillon, Provence and Corsica. It enjoys all types of soils – with a preference for limestone – and enjoys warm and sunny weather. 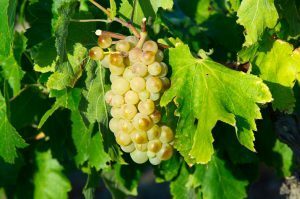 Ugni Blanc is a vigorous grape variety with a late budding and late maturity. It mainly fears winter frosts, downy mildew, eutypiosis and nematodes. Ugni Blanc develops very delicate aromas of citrus and some balsamic notes. These are wines defined by their racy acidity. They are quite fresh and refined. Sometimes Ugni Blanc is smooth, fragrant and round. 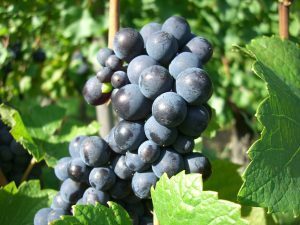 Pinot Noir is a black grape variety that originated in Burgundy. Its reputation is recognized world-wide. In France, it is mostly grown in Burgundy and Champagne, but it can also be found in Alsace, the Loire Valley, the Jura-Savoie region, the Rhone Valley and in the Midi. Outside of France, it is planted in Germany, Switzerland, Italy, Portugal, Central Europe, the United States, Australia, New Zealand and many others. It grows mainly on clayey-limestone soils and performs well in cool regions. It is an early budding and ripening grape variety. It is highly sensitive to spring frosts but is resistant to winter temperatures.